When is a chair not a chair? It’s simple. When it’s a status symbol! 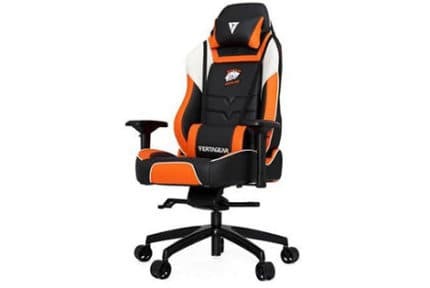 You may have seen some of our premium chair reviews, but today we’re taking it even further with the Vertagear Triigger 350 – a luxury chair that retails for around $800 and the special edition for $1000. 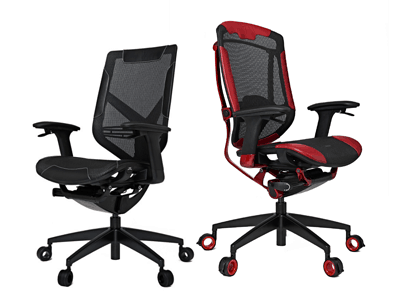 Because of its high price tag, we’ll be taking a critical look at the Triigger 350 chair, its features, and functionality to help decide if it’s the right product for you. This means highlighting the things we like about it, but also the areas in which it could use some improvement. 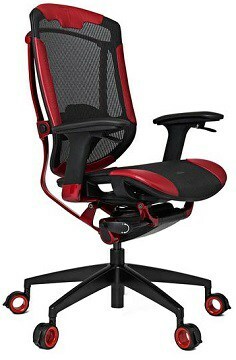 Straight away, you can tell this isn’t a standard office chair. It takes aspects from mesh-backed chairs as well as racing-style seats to create something with a truly unique appearance. 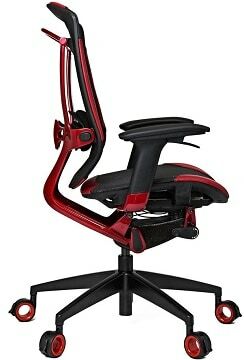 The smooth curves of the back support bracket add to this nicely and complement the curved shape of the seat very well. There are only two color options on offer: red and black. We particularly liked that it’s not just the seat or padding that’s colored: the bracket and sections of the mechanism are also included. Even the inside of the casters gain a lick of paint, and this contrast looks incredible. Considering these are hollowed out and already visually distinctive, that’s saying something. 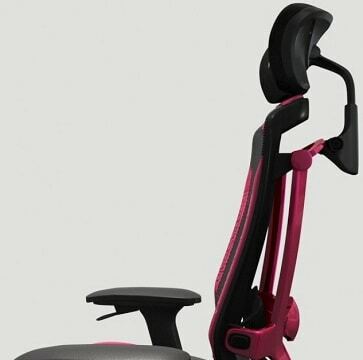 It’s clear that Vertigear were aiming to create a chair that didn’t feel claustrophobic here. There’s lots of open space, even on the underside between the mechanisms. This makes the chair looks amazing in minimalistic workspaces, but we do wish there was a white variant for those of us that primarily use Macs at work. Take a look at the backrest: this is something really special. 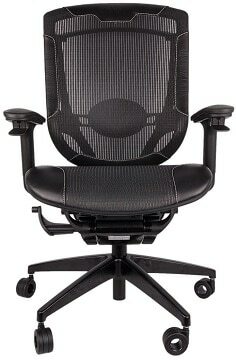 The mesh helps redistribute the user’s weight and prevent back strain, but there’s also padding in certain areas. These areas are the ones subject to most stress – namely, the headrest, lumbar area, and sides. As a result, the Triigger 350 is comfortable even after extended periods of time. The seat can also tilt and recline, as you’d expect from a model in this price range. The seat has slightly tapered sides to help keep the user in place, and the padded yet breathable mesh center allows you to remain cool and comfortable at all times. 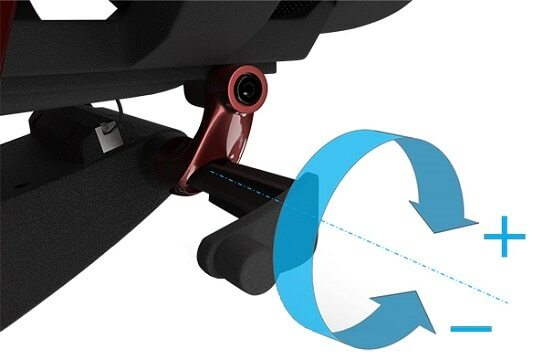 Better yet, this chair allows you to completely change the angle of the chair’s back for greater comfort. The headrest can also be popped up to whichever height is best for you. 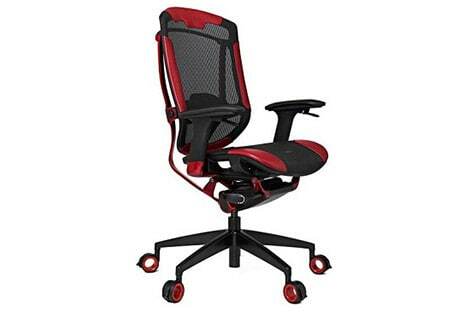 This lets you use it either as a dedicated work chair, or a chair for general use. To its credit, Vertagear has included a huge range of functionality here. Take the 4D armrests, for instance. These can be moved into the position that works best for your body shape, or even removed entirely without compromising the chair’s structural integrity. Believe us, though – you’re going to want to leave them on. Each of the casters can be locked in place too, meaning this chair works just as well on hard surfaces as on soft. 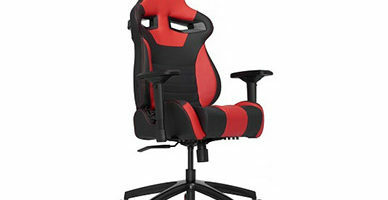 Most chairs have the tilt tension dial on the underside of the seat, but the Triigger 350 places it within reach, on the right-hand side of the seat itself. It’s rare that we talk about a chair’s lift function, but it’s worth mentioning here. This chair’s lifter has over 80 individual components including two springs, so what does this mean? Simply, you go farther with less effort. It also means you’ll move more smoothly – no more jerking downwards and fine-tuning the height. Despite the complexity of this chair, it’s actually fairly simple to build. The entire process takes just a few minutes, although you’ll need some help since it weighs more than most at around 55lbs. Vertagear has tried to reduce this as much as possible by using an aluminum frame, but it’s still pretty heavy. This chair comes with a ten-year limited warranty. This ensures that should any of the components fail, you’ll receive a replacement for free. It doesn’t cover damage you’ve caused, though, so be sure to take care of the chair – that means no pushing it to its limits! The Vertagear Triigger 350 is a luxury product and as such, won’t be suitable for most people. However, those that have money to spare will find it works well and provides an excellent level of customizability. It’s designed from the ground up to be as comfy as possible, and that’s a goal it definitely achieves. While it's much more comfortable than the Maxnomic Leader, for example, it still receives just 0.2 points over that because of its shortcomings.